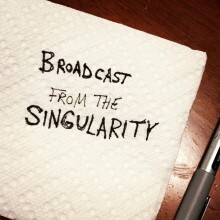 In the first part of our interview, Derek Webb introduces us to an album about the dawn of the first AI, and poignantly shows us just how disconnected we're all becoming. Stayed tuned for the rest of our conversation. Sola-mi - Download his album about the first Artificial Intelligence for free. DerekWebb.com - Listen to and purchase his latest album, Ctrl. @derekwebb Follow Derek Webb on twitter.